Miles Gallagher stands in a field of squash with a freshly picked Napa cabbage at his operation, called Food for All Farm, on Road G near Mancos. Gallagher is a member of the Southwest Farm Fresh, a farm and ranch cooperative in Montezuma County. 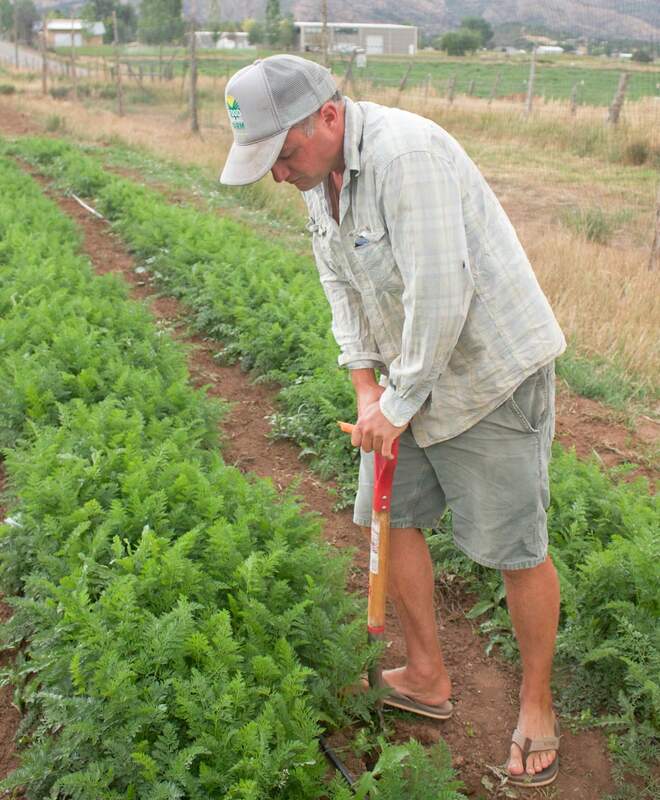 Miles Gallagher harvests carrots at his Food for All Farm operation on Road G. The distribution co-op was formed this spring and now has a membership of 21 farmers, many operating on five acres or less. 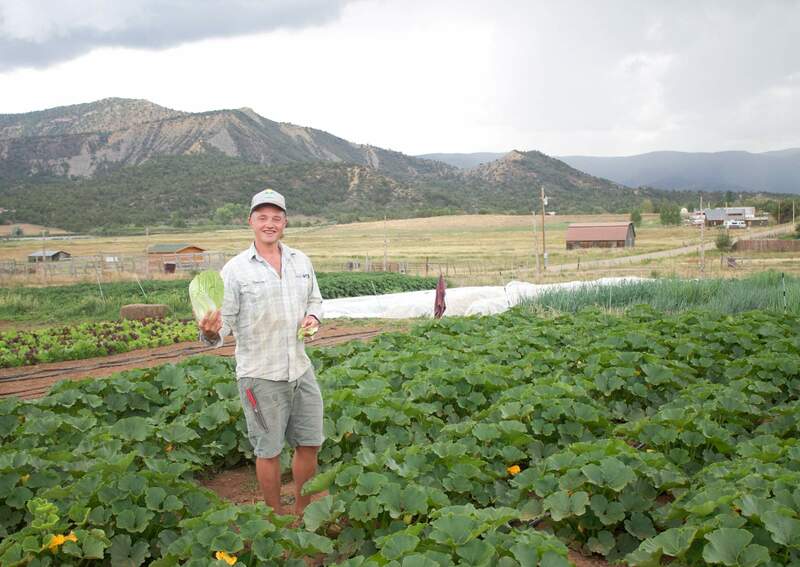 Miles Gallagher grows salad greens at his farm on Road G near Mancos. Gallagher is a member of the Southwest Farm Fresh, a farm and ranch cooperative in Montezuma County. Southwest Farm Fresh, a new farm and ranch distribution cooperative in Montezuma County, is about halfway through its first year and looking to ramp up for the harvest season. 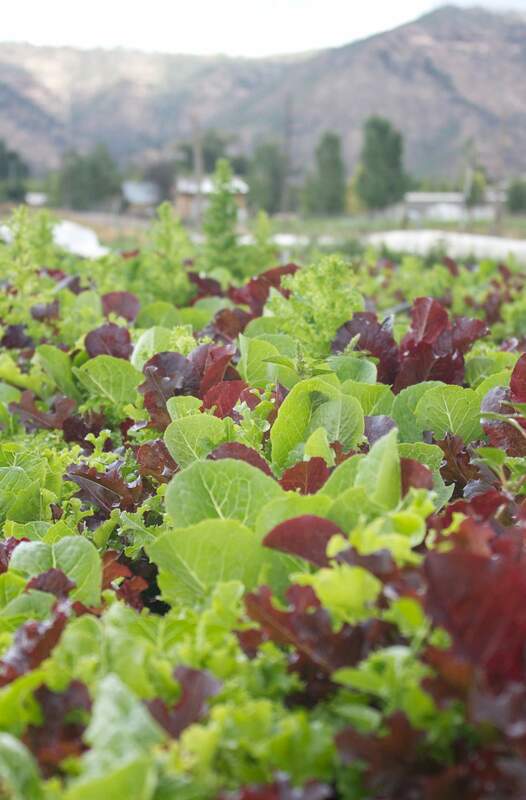 A spring with cold nights made for plentiful salad greens with a low supply of other vegetables like tomatoes and squash. That’s starting to turn around, and the co-op has a lot to offer including green beans, cucumbers, cabbage and beets among many other crops. “Right now, we’re starting to see a lot more diversity and a lot more availability,” said Dustin Stein, vice president of the co-op. The co-op was formed this spring and now has 21 member farmers, many operating on five acres or less. The group was formed to help cut delivery costs for individuals and created one point of a contact for restaurants to access produce from all the farms involved. This season, the co-op is focused on working through first-year challenges and collecting data, so organizers can be better prepared to meet demand next year, Stein said. “The first year is always going to have some pitfalls and some challenges,” board member Kellie Pettyjohn said. But Pettyjohn said the co-op has been able to sell most of what she has available, which was about 100 pounds of produce last week. She farms 1½ acres on Road G.
So far, the co-op has found buyers interested in seeing a long list of produce and a lot of available quantity, she said. Currently, the co-op serves 15 to 20 wholesale buyers a week, said distribution manager Ole Bye. As the tourism season demand in Telluride winds down during August, they are going to be looking for more buyers. Bye started doing distribution as a small-business owner a few years ago. After he came to Mancos, he wanted to get involved with the local food scene and decided transportation and consolidated ordering would be his niche. He went on to retrofit a truck with a refrigeration system. Since coming on as an employee of the co-op, he has found that it is helpful to working with the group and though decisions are made slower, they’re made better. “We have a lot more people working on the same problems that were overwhelming to me as a single business owner,” he said. The group is hoping to expand. “One of the markets that we haven’t tapped into yet is the proteins,” Stein said. He is hoping that the market could carry the co-op through the winter in years to come. This season, the co-op is looking to wind down in November, finishing the season selling crops such as potatoes, garlic and onions. The farm co-op currently accepts new farmers as members year-round.